As a significant global lemon and citrus supplier, Limoneira sees Fruit Logistica in Berlin as a vital platform to engage with many of their customers and suppliers around the world. One of the California-based company's goals is to connect with their producing regions and markets, all of which are located on various continents. "Fruit Logistica is one of the three major fresh produce shows in the world, alongside PMA and Asia Fruit Logistica," said Alex Teague, Senior Vice President and COO of Limoneira. 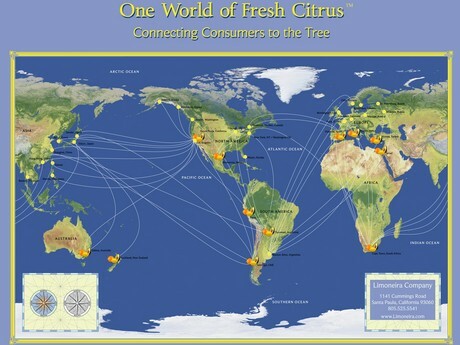 "It's an important platform for our 'One World of Citrus' strategy as all our regions contribute. For example, a significant amount of our South American-grown citrus is exported to Europe. Fruit Logistica provides us with opportunities to connect with people and find out what is happening on the world stage." Limoneira sees Europe as being at the forefront of many areas important to the fresh produce industry. One of these is the retail sector, with Europe often a barometer of many retail trends that eventually spread worldwide. "All markets are important, but the purchasing power and consistency of the European market is significant," Teague observed. "Europe also remains at the innovative edge from a retail point of view so it's interesting to visit and see how things are evolving in that spectrum." He added that packaging is another area where Europe is at the leading edge, with all eyes looking to see whether the use of plastic packaging will be reversed and replaced with recyclable alternatives. "We are often looking to the EU, especially when it comes to packaging. They were the first to widely introduce plastic packaging in the 80s and 90s and now we are seeing if it will start moving the other direction, with increased use of recyclable packaging." 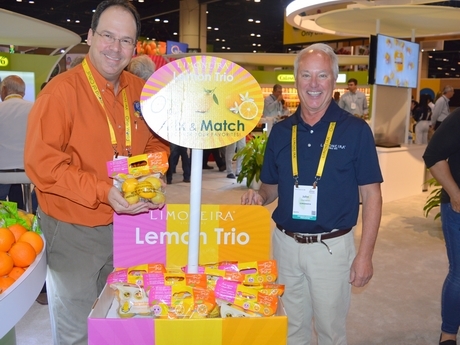 Limoneira's John Carter and John Chamberlain show the Lemon Trio pack at PMA 2018. With lemons being their primary line of business, Limoneira will be focusing heavily on the lemon category at Fruit Logistica, both from a product point of view as well as connecting with their customers in different markets. The company will also discuss some of their other lemon products. "Limoneira's main focus will be highlighting our lemon category and looking towards our summer lemon programs," Teague shared. "We will also be discussing our smaller, specialty lemon categories such as pink lemons." 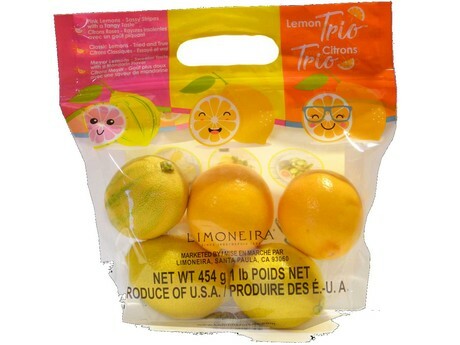 For the North American market, Limoneira will be testing a three-pack lemon combo which, if successful, will be introduced to the European market from next year. "The three-pack lemons consist of one Meyer lemon, one Pink lemon, and one traditional or 'classic' lemon," Teague said. "Our promotional focus will be on pairing them with different types of food. It's a small trial to begin with and afterwards we will look at the numbers. We are hoping to introduce it into the European market for the 2020 summer season." The company have noted that specialty citrus varieties like blood oranges and Cara Cara Navels are enjoying strong demand. 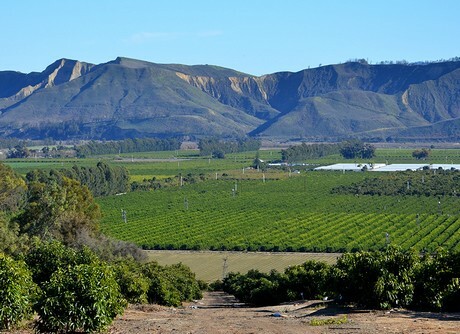 While they remain a smaller category within Limoneira's citrus lineup, Teague said it's an area that typically does well, especially as part of the off-season citrus market. "Off-season citrus, especially specialty oranges, affords a great opportunity to the entire Northern hemisphere from a South American perspective," he said. "The specialty and niche citrus category in particular is growing and performing well." One of the key attractions at Fruit Logistica is not just the proximity and influence of the European market. Many fresh produce companies from around the world gather in Berlin, making it a truly global event. For Limoneira, it affords them the chance to meet with many of their other customers and partners from Asia and elsewhere. "It's not just European companies that attend and exhibit at Fruit Logistica," Teague explained. "There is a continued focus on all regions. The Middle East is an example, as they have become a huge purchaser of South African lemons in the last three to four years." "Our goal is to increase our customers' knowledge and help them plan better with our 52 weeks a year model," he concluded. "Developing that communication will only help the lemon and the broader citrus category grow."